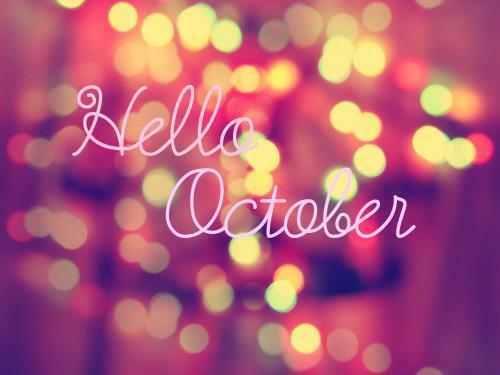 Finally my kind of month came by. September has been one hell of a busy month and I was completely immersed in work. These are the kind of months that I love. I love to be busy and always occupied with something. Sitting idle and wondering what to do depresses the hell out of me. Last month was all about being sick and recuperating. This month thankfully has been a very healthy one and I'm back to being the annoying tyrant I always was. September was Cal's birthday month and I wanted it to be the best birthday that he has ever had. Arranging stuff for his birthday while being buried neck deep in work was quite challenging and thrilling at the same time. I got him a gift that he has wanted for ever and seeing his face light up in surprise and delight as he held the gift was something that I would cherish forever. I'm crazy about this man and I am not the one to leave any stone unturned to make sure that his face always has a smile on it. Early September I got the news that my blog has been shortlisted among the top ten blogs of the country in the creative writing space. I was like "Waaaaaaaaat"? I cannot describe the happiness I felt that instant. I write a lot of things and I know that I have more haters than lovers, so obviously this came in as a huge surprise to me. The top ten blogs would then be shortlisted to top five based on the votes that they would get as well as the jury decision. Initially I so badly wanted to make it to the top five that I was begging for votes on Facebook, Twitter, Whatsapp etc. I did this religiously for about three days and after that it felt so silly. This was not me at all. The concept of pleading people to go vote for me felt a bit desperate and weird. I don't even force people to read by blog, let alone go vote for it. So I stopped doing it and left it all to the jury. As Cal and I were heading for his birthday dinner, I get the news that I have made it to the top five. Top five best creative writing blogs in the country. Now this is not something that happens every day, does it. Needless to say the celebration immediately doubled and Cal was more happy than ever before. He has supported my writing since day one and has always told me to go ahead and write what ever I wanted to. He told me to not think about what people would say and just write whatever I wanted to. He has been a strong support since years and is proud of my writing more than I am. Although I did not win the coveted top spot, making it to the top five in the country was more than enough for me. Even the top ten was enough, to be honest. So dear haters, I dedicate the top five spot award to you. Nothing speaks success more than having a few haters here and there. And I know exactly where they are, so the award means much more to me. I'm waiting for the cool badge now. I obviously shall display it on my blog with pride. September was excellent in terms of entertainment as well. We went out and tried a lot of new restaurants. Good food always makes me happy and we indulged in quite a fare. I had the best pasta in Bangalore at Mudpipe Cafe and the best ghee roast prawns at Banjara Melting Point. If any of you out there is a foodie like me and want to know about the best places to eat in Bangalore, follow me on Zomato for all the updates. Fitness has taken a backseat and this is a very bad thing. Considering how much I am eating, I am in desperate need of some good exercise. But September kept me so busy that I hardly found time for reading or writing. Just ten posts and no progress in reading what so ever. 'The Palace Of Illusions' is almost getting rusted on my Kindle. Overall September was a very happy month and I loved every bit of it. Hopefully October shall have more posts and some progress in reading. So tell me, how did September treat you? Glad to know you had an eventful September! HEY, Mudpipe seems to be like three seconds away from my place -_- you have my number, next time, call me, woman! Congratulations on being in the top 5. Seems like an eventful September.